Dan devotes his practice to financially distressed businesses and is recognized as one of New England's best-known counsel to troubled companies. His experience includes Chapter 11 reorganizations and sales, out-of-court debt restructurings, troubled company acquisitions, trust mortgages and assignments for benefit of creditors, and representation of directors and officers, equity sponsors, litigation defendants, trustees, landlords, suppliers, tort claimants and creditors' committees. Dan is also a trained mediator and frequent lecturer on bankruptcy law. A fellow of the American College of Bankruptcy, he now serves on its national Board of Directors and formerly served as the College's regent for the First Circuit. 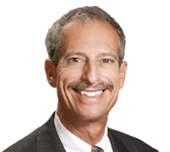 Dan is listed in America’s Leading Business Lawyers (Chambers & Partners USA). Groves in Lincoln, Inc., a senior living facility with outstanding bond debt of $88 million. Represented the company in its Chapter 11 case in which the business was transferred as a going concern, residents’ rights were protected and substantial distributions will be made to bondholders and trade creditors. Diam International, Inc., a designer and manufacturer of retail product displays with sales of $250 million. Represented the company in an out-of-court restructuring whereby almost half of its revolving credit facility of $100 million was forgiven, while the equity sponsor retained the common stock. Waste Systems International, Inc., a solid waste disposal company with liabilities of $150 million. Represented the company in its successful Chapter 11 reorganization, in which the equity sponsor retained ownership in exchange for an additional investment. Enumeral Biomedical Holdings, a publicly held developer of antibody immunotherapies to fight cancer. Represented the company in its successful Chapter 11 reorganization transferring the company’s intellectual property to a new entity owned its noteholders. New England Confectionery Company (NECCO), the iconic candy manufacturer, which filed under Chapter 11 and then converted to Chapter 7 liquidation. Represent Ares Capital in protecting its interests as secured lender and defendant in litigation brought by the bankruptcy trustee. BioTransplant Incorporated, a publicly-held developer of therapeutics to suppress undesired immune responses and enhance the body's ability to accept donor cells, tissues and organs. Represented the company in connection with its liquidating Chapter 11 plan under which creditors were paid in full. Helicos BioSciences Corp., a publicly held manufacturer of gene sequencing equipment. Represented the company in its successful Chapter 11 case focused on maximizing the value of its intellectual property. Peptimmune Inc., developer of a treatment for multiple sclerosis, which filed Chapter 7 bankruptcy after failing to raise an additional funding round. Represented Harvard University in protecting its interests as licensor of the company’s intellectual property. W.R. Grace & Company, Inc., a construction materials company that incurred more than $2 billion of asbestos-related liabilities. As counsel to one of the hardest hit groups of claimants – those suffering asbestos disease or death from Grace’s infamous operation in Libby, Montana – prevailed in seminal Third Circuit decision establishing limits on injunctions barring litigation by victims against non-debtors. Epirus Biopharmaceuticals, Inc., a publicly held developer of biosimilar compounds. Represent the bankruptcy trustee in selling the company’s intellectual property and winding up its foreign subsidiaries. Cashman Equipment Corp., a world-wide lessor of barges primarily to the oil and gas industry, which filed under Chapter 11 with debts exceeding $150 million. Represented a bank with a $45 million secured claim in restructuring the debt at par under the company’s Chapter 11 plan. Wash Depot Holdings, Inc., a nationwide operator of car washes, quick lube centers, gas stations and convenience stores with liabilities of $130 million. Represented the company in its successful Chapter 11 reorganization, in which one of the lenders acquired the equity of the restructured enterprise. DB Companies, Inc., a chain of 150 convenience stores and gas stations in the northeast, with revenues of $175 million. Represented the company in selling its retail locations through Chapter 11. Education Loan Services, Inc., a loan-servicing company responsible for $3.4 billion in student loans owned by 80 different client financial institutions. Represented the company in an out-of-court program successfully transferring the loan portfolios to other servicers while avoiding the enormous loss to clients that would have resulted from a sudden cessation of servicing. Mason & Hamlin Corp., a 150-year old piano manufacturer, among the most distinguished in the American piano industry. Represented the creditors' committee in defeating management's Chapter 11 plan offering 14% payment to creditors and obtaining confirmation of the committee's own plan paying more than 70%. Plassein International Corp., a manufacturer of plastic packaging in the United States and Canada with sales of $150 million. Represented the company in selling its business, on a going-concern basis, under Chapter 11. New Hampshire Electric Cooperative, Inc., an electric utility with approximately 60,000 customers and $270 million in debt. Represented the utility in obtaining confirmation of a Chapter 11 plan that restructured debt resulting from investment in a nuclear power plant while maintaining the utility as an independent company. Insurance Holdings of America, an insurance marketing and technology company with liabilities of $30 million. Served as creditors' trustee under an out-of-court wind-down arrangement approved by creditors as a quicker and less expensive alternative to bankruptcy. NordicTrack, Inc., a manufacturer of exercise equipment with peak sales of $480 million. Represented the company in its Chapter 11 case involving sale of the company’s trade name and inventory. P.J. Keating Company, a producer of asphalt, crushed stone and related materials. In the company's Chapter 11 case, represented an international construction conglomerate in defeating a plan proposed by the company's management and acquiring the company through competing plan. Stadium Management Corp., owner of the stadium where home games of the New England Patriots football team were played. Represented the Chapter 11 trustee in selling the stadium and resolving litigation on terms providing a substantial distribution to creditors. May 17, 2017 - Robert White to moderate, and Daniel Cohn to be a panelist at, "Sales of Distressed Companies In and Out of Bankruptcy."